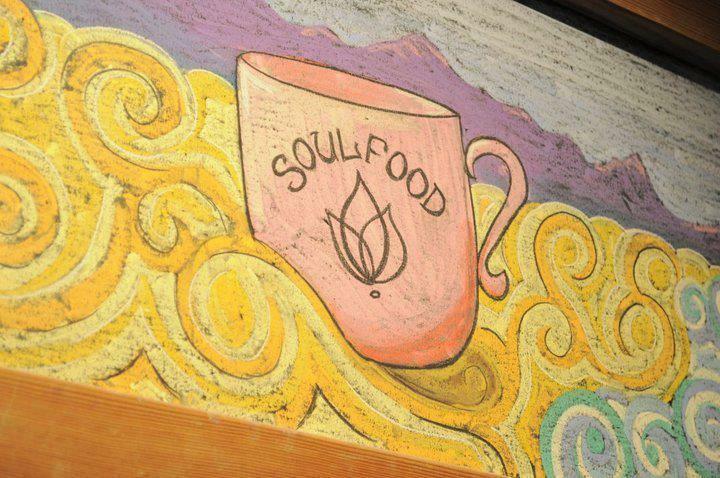 SoulFood Books is a Coffee and Pastries restaurant where most Menuism users came for fun with friends, paid less than $10, and tipped between 15% to 18%. 1 review of SoulFood Books, first by rosiethehobbit. Definitely good service at this bookstore/coffeehouse! People are friendly, helpful, and the atmosphere is relaxed. Comfy chairs to relax in, a stage for live music and poetry performance in the evenings, and plenty of seating. The coffee is great, too. A small selection of baked goods to go with your drink, courtesy of Hancock’s Bakery down the street. Do you own SoulFood Books? Contact us to connect with your diners. SoulFood Books is located near the cities of Seattle Metro Area, Overlake, Sammamish, and Totem Lake. People found this by searching for: Soul Food Book Redmond Menu, Soul Food Cafe Redmond, Soulfood Cafe,Redmond,Wa., Soulfood Books, Soul Food Books, Soulfood Books Menu, and Book Store In Downtown Redmond Or.